This recipe was modified from a recipe from Clean Eating. I basically used half a pound of ground turkey instead of a full pound and 1 cup of brown rice instead of 1/2 cup of mixed rice. I also added in some red pepper flakes and some salt for my own taste preference. Don't add in too much of the pepper flakes because you are stuffing them into peppers and they will provide a little kick, but just a couple of shakes will help add some additional flavor. This recipe is very flavorful, filling and very healthy. Cook brown rice according to package directions (I used a quick cooking brown rice). Meanwhile, add oil and onions to a large sauté pan over medium-high. Saute onions for 2 minutes, then add garlic and sauté for 1 minute. Add turkey, juice and seasoning. Cook until turkey is cooked through, about 10 minutes. Add tomatoes and black pepper, cooking, covered, for 5 minutes. Preheat oven to 400°F. Fill a large pot half-full with water and bring to a boil. Cut tops from bell peppers and remove all seeds. Add bell peppers and tops to water and return to a boil. Cook, covered, for 4 to 5 minutes or until tender. Remove bell peppers and dry on paper towel. (Please note I did not do this step out of lazyness. I did do it one time and I didn't see a huge difference, but feel free to try it to make your peppers more tender). Drain rice and add to turkey mixture. 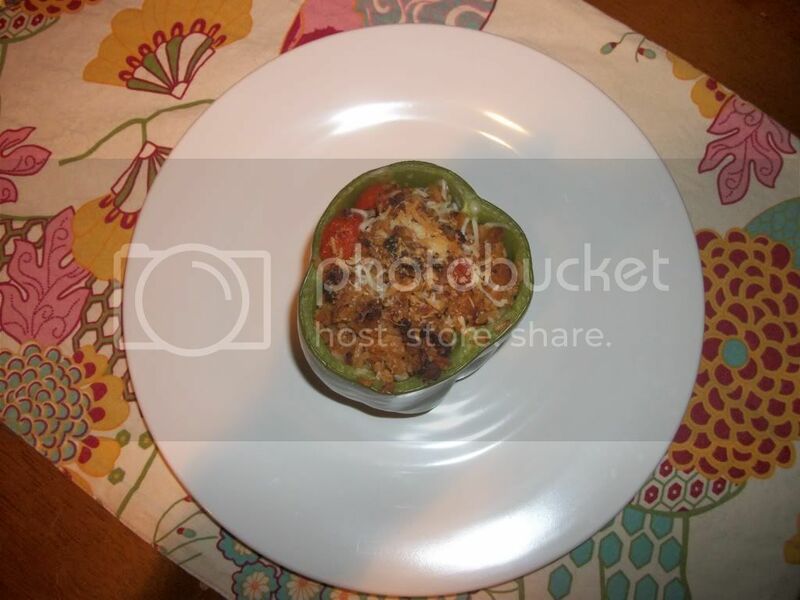 In a glass dish, stand bell peppers and fill with turkey-rice mixture. 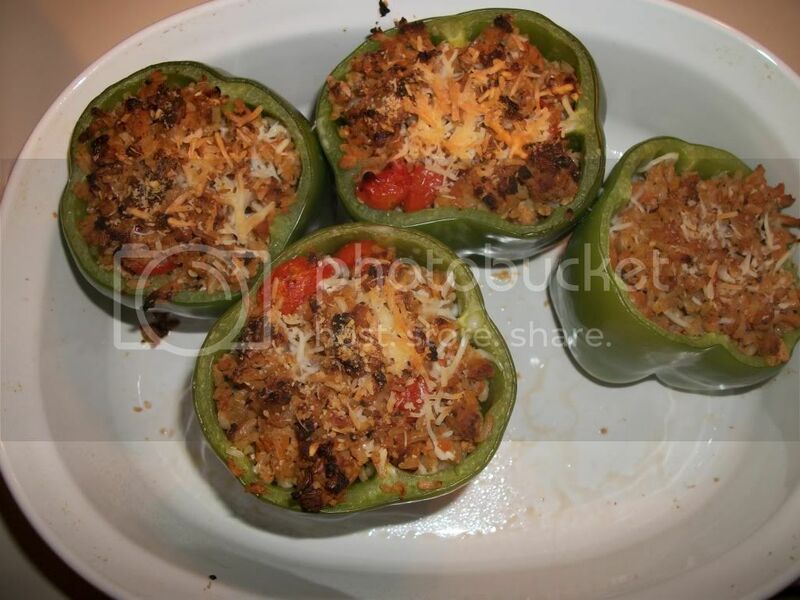 Sprinkle with cheese and add bell pepper top. Bake for 15-20 minutes. Enjoy!